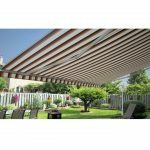 The Adalia X3M Plus awning is built for on-the-spot pitch adjustment to allow for varying slopes. 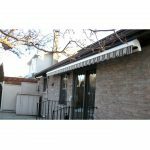 With both arms adjusting at the same time, the awning remains leveled as changes are made. 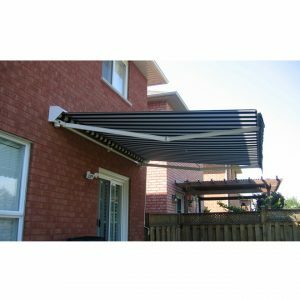 It also allows for making changes to the awning to follow the sun. The awning is available with pitch adjustments from 0° to 75°, allowing for customizable shading. The Adalia X3M Plus is also available in a variety of different widths and fabric colours. 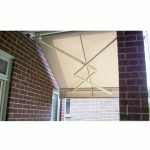 The Adalia X3M Plus awning is supported with a 10 year Framework warranty.